Selecting the best nursing school in California can be difficult. To make the process easier first look for a school that supports students towards licensure and beyond. A great way to measure this is through NCLEX-RN "pass rates." We have ranked the top 50 nursing schools in California by analyzing current and historical NCLEX-RN "pass rates", meaning the percentage of graduates who pass the exam, out of the 126 RN programs in the state. Programs reviewed include schools that offer an Associate in Nursing (ADN/ASN), BSN, or Direct-Entry MSN Degree. The state of California is continually ahead of the curve and striving to provide the best patient-oriented nursing care. When obtaining RN status, California is encouraging students to look further into the future of nursing and the direction in which their career path may take them. A BSN gives candidates the advantage to accept job opportunities more readily, as well as provides a competitive edge when applying for advancements. The market currently shows an upward trend of an estimated 15% increase in BSN nursing opportunities, salaries and professional development over the next 5 years. You could be part of the movement toward innovative patient-oriented nursing. With more than 50 ADN programs throughout the Golden State, California helps students meet the demand for more licensed RNs. Graduates from accredited programs are able to take the NCLEX-RN licensure exam and once passed are fit to practice anywhere in the state. Many nurses begin their career with an Associate's Degree in Nursing (ADN) diploma and strive for upward professional mobility in order to retire from a personally, professionally and financially rewarding career. With an ADN as first step, nurses often take continuing education courses and further degrees as their professional and life circumstances suit. A nationwide evaluation system of ADN programs ensures that every program is created and managed with the state's best practices and patient protection processes in mind. Each ADN program is accredited through the Accreditation Commission for Education in Nursing (ACEN), which has a national evaluation framework for nursing programs. Community and private colleges are also part of the Accrediting Commission for Community and Junior Colleges (ACCJC), which oversees colleges and 2-year programs that award Associates' Degrees in a variety of disciplines. 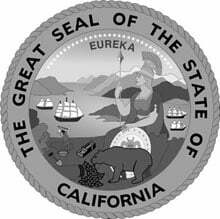 A division of the California Department of Consumer Affairs, the California Board of Registered Nursing has grown in scope and authority since its creation. With several main branches including advocacy for patients, resources of applicants and the public, regulatory enforcement and assistance for nurses who require intervention, the Board also manages and regulates ongoing licensure of RNs and teaching programs for RNs. Just like every other industry, ADN programs have a series of performance indicators that students can measure to see how one program compares to another. The value of this comparison means that students as consumers can use the information to pick the program that suits their goals the best. Allan Hancock College offers a 2-semester ADN program for students to train in the clinical environment and in the classroom to become an RN. Located in Santa Maria, the college offers a 30-unit program that prepares students for the NCLEX-RN examinations to gain licensure status. 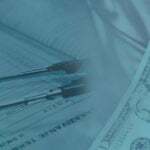 Yearly tuition and clinical costs for nursing students can be difficult to generalize. Typically, students who attend private colleges or accelerated programs do pay more for some aspects of their programming which can result in an overall higher tuition. Whether a student sees value in higher costs is a reflection of his or her professional goals and timelines. Some ADN programs include a number of the clinical and equipment expenses like an ID tag, uniform scrubs, shoes, analog watch and stethoscope, while others choose to keep these expenses 'a la carte' and have students buy items separately from school costs. To get an idea of a sample tuition amount, Glendale Community College has a yearly (2-semester) tuition fee of about $5,600, which does not include ADN equipment or fees. ADN programs have a few advantages over other program types, though there is no 'one size fits all' for post-secondary education. Amongst the main benefits cited for the style and length of program at the ADN level is the quality of teachers. Community colleges are built on the strengths of faculty that have extensive in-field experience in their chosen area of expertise. At the college level, faculty are fully committed to students and do not have competing research interests or pressure to publicize their work in order to gain job security, known as tenure. For current California Licensed Vocational Nurses (LVNs), there are a few educational pathway options to enter registered nursing. Depending on a nurse's unique career goals, they can opt for an LVN to ADN, LVN to BSN, or even an LVN to RN certificate program. One of the most recent program offerings on the scene is the LVN to RN certificate program. This differs from a traditional LVN to RN program in that it results in a certificate and affords students the eligibility to take the California NCLEX-RN exam; it does NOT culminate in a nursing degree (such as an ADN or BSN degree). The advantage to this program is that it allows LVNs to take the minimum number of units, which happens to be 30, required by California to be eligible for the NCLEX exam. Schools such as Rio Hondo College in Whittier are adding these 30-unit LVN to RN certificate programs to their departmental offerings. Students should be aware, however, that graduates of an LVN to RN certificate program may not be eligible for licensure in other states, and may not meet every employment qualification (since students won't technically be graduates of an approved degree program). It's always a good idea to thoroughly research all programs to ensure that they meet your needs and goals. In order to get the most highly qualified nurses, the state has determined that it is imperative to help nurses achieve a BSN, or Bachelor of Science in Nursing degree whenever possible. Some students choose to start with a 4-year BSN degree as freshmen; others upgrade their qualifications through an RN-to-BSN program. Still other candidates will choose an accelerated BSN option. Some of the reasons cited by nurses as to why they choose to pursue a BSN are that tuition, while definitely higher than at the ADN level, is well covered in many cases by financial aid and scholarships, leading to a more credentialed degree for not that much more money. Further, in a four-year degree there is more time and opportunity for clinical rotation and volunteer opportunities. Offered at more than 35 locations throughout the state, BSN programs are geographically accessible to most students, and several offer online courses to aid distance and part-time students as well. In choosing a BSN program that meets your needs, students should create a list of criteria to help them evaluate important factors in their education. Some considerations are size of classes and size of clinical rotations, the cost of tuition, and whether the school has a large enough population to engage experienced professors, excellent clinical experiences for teaching purposes, and adequate facilities. With a few campuses including the Sacramento location, California State University, Sacramento offers a well-regarded nursing program. The university's College of Nursing is poised to capitalize on the massive changes that are occurring in healthcare delivery at this time. 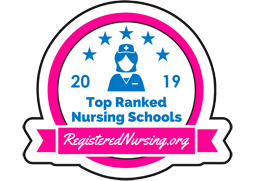 The school is accredited by the American Association of Colleges of Nursing (CCNE) and offers several programs and pathways for those who are exploring a career in nursing. Nurses who want to build their skill set by expanding on the theoretical and evidence-based practice of nursing are able to take advantage of the programs offered therein. Clinical experiences that focus on community health as well as that of the individual are valued and reflected in the programs numerous semesters. Accelerated and online options are available to flexibly meet the demands of today's students. Program length for a typical BSN degree is four years. In recent years to meet the need for qualified nurses and to support the state's push to increase regulation, programs have started to offer RN-to-BSN programs and the Accelerated BSN track. Students are able to make gather their qualifications, transcripts and prior professional experience and apply to fill gaps in their education and certification while achieving a BSN, a process that usually takes about half the time of a regular 4 year degree. While BSN tuition costs are carefully controlled, and are offset by state and federal subsidies and grants, there is still some consideration for students for whom tuition is a factor. Each school offers a comprehensive breakdown of the tuition costs; housing, equipment, course fees and special program fees may or may not be included. For example, the University of San Francisco has tuition that averages about $45,000 per two semesters. Pursuing a BSN is often seen as the first step away from home for many students. The baccalaureate degree has a number of benefits; among them, that there are numerous student support services to help students adjust to the rigors of adult-style workloads and stressors. There is also a range of choices for students who have interest in a particular minor field of study that may augment their major. 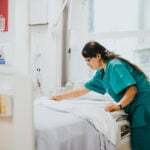 Master of Science in Nursing (MSN) programs are gaining visibility as Americans grapple with a looming shortage of qualified nurses and healthcare workers. The medical field has expanded greatly in the last decade or so as medical advances are made almost weekly - this means that knowledgeable nurses are increasingly valuable. Like the BSN, there are a number of professional pathways to help RNs achieve their career goal of a graduate degree through accelerated, part time or distance coursework. There are more than 20 such programs in California; Sonoma State University is a great example of one that offers the core MSN program, a Nurse Practitioner program, and other specialties that help nurses assume leadership roles in facilities and communities around the state and beyond. Approximately three years in length, the RN to MSN pathway - available to students who already hold a BSN - can be a busy time. Full-time students are encouraged to devote their time to their studies; part-time students may have the flexibility to both work and learn. Graduate degree programs are more expensive than their undergraduate is and college counterparts are, however the autonomy, authority and upward mobility of the role makes up for the cost. MSN graduates are able to help more people more often than their BSN or ADN colleagues. Tuition depends on the institution you may wish to attend, and often does not include books, lab costs, clinical costs, or equipment, since grad school nurses are assumed to have these items before entering the program. Per year, tuition is about $16,000 for a full-time course load. Source: Derived from the latest data on rn.ca.gov for 2016/2017 time period. There are more than 10 different accelerated BSN programs offered throughout the state. The programs vary in length, but all generally run for 12 to 24 months, depending on the college attended. Most of these programs require a full-time commitment, and have required courses that must have been passed before admission to the accelerated program will be granted. The prerequisites vary depending on the degree previously attained, as well as which college program being taken. Total costs for an accelerated degree can run as much as $65,000, this is dependent upon the program, how many prerequisite courses needed, and if housing costs need to be factored in as well. Moving up significantly in our rankings to secure the top spot, Stanbridge University in Irvine is offering students an exceptional Associate's Degree in Nursing program. Enrolled students get the advantage of simulation and nursing skills labs, along with NCLEX practice tests and assessments throughout each term. Learn more by visiting the Stanbridge University nursing website. As part of the San Luis Obispo County Community College District, Cuesta College's excellent Nursing program teaches new and transfer students the therapeutic and interpersonal strategies and skills for their professional role. Visit the Cuesta College nursing website to learn more. Part of California's accredited Community College network and located in Hayward, California, Chabot College offers experienced faculty and innovative facilities to assist practical and theoretical learning. Excellence and affordability go hand in hand at Chabot. Visit the Chabot College nursing website to learn more. Victorville, California is home to Victor Valley College, a leader in educating generations of individuals while building successful communities. As a case in point, VVC's acclaimed nursing program produces graduates that are ready to work as a member of the health care team. Follow the link to learn more about the Victor Valley College nursing program. The Sonoma State University Department of Nursing provides a premier foundation for nurses to practice lifelong learning and to contribute to their community of choice through patient care. The university's flexible BSN offerings and MSN offerings are designed to meet busy students' needs. Follow the link to learn more about the Sonoma State University nursing program. With the motto that 'Education Changes Everything', nursing students at Los Angeles Harbor College graduate with and move into a rewarding and challenging career in patient care. LAHC students are a welcome addition to many medical facilities. Get all the program details by visiting the Los Angeles Harbor College website. Found in Rocklin, California, Sierra College is a forerunner in nursing education. Students learn to apply up-to-date care models for patients at all stages of the life continuum. Visit the Sierra College nursing website to learn more. California State University, Channel Islands offers an excellent nursing program. With several nursing tracks designed to aid the men and women who wish to further their careers, CSU Channel Islands graduates help their communities manage their health care. Visit the California State University, Channel Islands nursing website to learn more. California State University Long Beach has a goal of becoming the foremost nursing program at the university level. With caring, ethical faculty, the CSULB has diverse and rigorous BSN and MSN tracks. Learn more by visiting the California State University, Long Beach nursing website. Monterey Peninsula College is located at the heel of Monterey Bay, California. With a laudable nursing program, MPC students graduate ready for employment in the nursing field both locally and nationally. Follow the link to learn more about the Monterey Peninsula College nursing program. Located in Mission Viejo, Saddleback College has a proud history of nursing excellence. Saddleback provides a foundation for competency and helps student grow into ethical, logical nurses, ready for the field. Learn more by visiting the Saddleback College nursing website. Located in picturesque and mountainous northern California, Simpson University is home to the prestigious Betty M. Dean School of Nursing. With emphasis on a high-calibre nursing education through a Christian perspective, SU nursing graduates are in high demand. Visit the Simpson University nursing website to learn more. California State University, Stanislaus is widely renowned for the strength of its nursing program, which is tailored to the fast-paced career track that many nurses require. Successful graduates pass the state's NCLEX-RN exam and find meaningful work in patient care. Follow the link to learn more about the California State University, Stanislaus nursing program. California State University, Sacramento is home to a number of BSN and MSN options - as well as transfer and bridge programs for existing RNs. Graduates learn to promote health plans effectively with patients, families and medical professionals. Visit the California State University, Sacramento nursing website to learn more. At California State University San Marcos, students have the option of choosing the prestigious BSN: Accelerated course track. Nursing graduates from CSUSM are successful in acute and long-term care settings. Check out the official California State University, San Marcos nursing program. Hartnell College is located in the heart of California's marine and agricultural lands and is the perfect environment for rigorous study as demanded by the college's nursing educators. With diploma in hand, Hartnell students emerge ready to demonstrate client advocacy in the health care setting. Visit the Hartnell College nursing website to learn more. California State University Chico is home to an array of acclaimed nursing programs. From BSN to MSN and including bridge programs and accelerated programs, CSU Chico creates graduates who are ethical and accountable to their profession and peers. Get all the program details by visiting the California State University, Chico website. Reedley College offers an LVN to RN Associate Degree Nursing Program at the Madera Center. This program is designed specifically to help LVNs earn an ADN so that they can practice as registered nurses. Learn more by visiting the Reedley College at Madera Community College Center nursing website. San Diego State University is home to one of the most notable nursing programs in the state. With a variety of BSN and MSN options for new, returning or transfer students, graduates emerge as highly competent managers in today's health care environment. Check out the official San Diego State University nursing program. Located in beautiful Oakland, California, Merritt College has an acclaimed nursing education program. With caring, ethical faculty, graduates emerge well prepared for the rigorous NCLEX exams. Learn more by visiting the Merritt College nursing website. Located near Lake Mendocino, Ukiah, California is home to the widely acclaimed Mendocino College. Offering RN and bridge programs, MC is the ideal backdrop against which to achieve nursing goals. The college's students have a 100% pass rate for the state nursing exam. Follow the link to learn more about the Mendocino College nursing program. Mira Costa College is a hub of accreditation and nursing career pathways that are well suited to pre-service, new, and experienced nurses. Mira Costa makes it easy to apply life skills and experiences to a new career in patient-centered care. Follow the link to learn more about the Mira Costa College nursing program. Located in picturesque El Cajon, California, Grossmont College is home to one of the state's premier nursing programs. Nursing students are prepared carefully for the rigors of professional practice. Check out the official Grossmont College nursing program. Sacramento City College is located in one of California's most historic cities - and has a prestigious reputation to complement its surroundings. With dual intake for nursing programs, SCC meets student and community need. Get all the program details by visiting the Sacramento City College website. The University of California, San Francisco offers a Master of Science in Nursing (MSN) as well as a Masters Entry Program in Nursing (MEPN), both with a variety of specialty areas available (Adult-Gerontology Nurse Practitioner, Family Nurse Practitioner, and more). In addition to this, students can also choose from MS minors including diabetes, genomics, health policy, and others. Follow the link to learn more about the University of California, San Francisco nursing program. Northern California’s Santa Rosa Junior College offers a popular Associate Degree in Nursing program designed to guide students into the rewarding nursing profession. Approximately 60 new nursing students are admitted each fall and spring semester. Visit the Santa Rosa Junior College nursing website to learn more. Located in beautiful Ventura County, Moorpark College is many nursing students' bridge to the future. With a selective process and national accreditation, Moorpark nursing graduates are a welcome addition to the healthcare setting. Learn more by visiting the Moorpark College nursing website. Located in the heart of Orange County along California's coast, Concordia University Irvine excels at shaping caring, compassionate, and competent nurses. With a variety of bridge programs as well as BSN and MSN degrees, nursing students experience flexible and responsive training in their future career. Follow the link to learn more about the Concordia University Irvine nursing program. California State University, Los Angeles leverages its urban demographic to ensure that nursing students receive both excellent theoretical and practical training. Cal State LA offers a range of BSN, MSN and other programs to meet student and patient need Visit the California State University, Los Angeles nursing website to learn more. Located among the urban features of California's capital city, Sacramento, American River College combines cosmopolitan environment with Gold Rush era spirit. The selective process in the nursing program ensures that only the best candidates hold the coveted title of 'nurse'. Check out the official American River College nursing program. Mt. San Jacinto College offers students in the surrounding San Jacinto Valley a premier nursing education. With an emphasis on evidence-based patient care, students bring their individual strengths with them during class and in clinic. Visit the Mt. 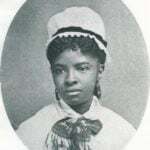 San Jacinto College nursing website to learn more. Santa Monica College offers a state-approved program that prepares pre-service nurses for the high standards of the National League for Nursing Accrediting Commission. Graduates quickly find roles in the field or carry on toward earning their BSN through SMC's transfer pathway. Visit the Santa Monica College nursing website to learn more. Located north of Los Angeles, the bustling city of Bakersfield is home to Bakersfield College. With ethical faculty, acclaimed in their field, BC strives to ensure that each graduate enters the nursing profession as an advocate for evidence-based patient advocacy. Visit the Bakersfield College nursing website to learn more. Chaffey College is located in Rancho Cucamonga, California. Chaffey's ADN program was founded in the 1950's and is one of the original ADN programs established in California. The Associate Degree in Nursing program at Chaffey supports students' educational and professional goals. Follow the link to learn more about the Chaffey College nursing program. Palomar College is located in beautiful San Marcos, California. The college?s prestigious nursing program produces graduates who thrive in this dynamic and evolving profession and who can move amongst a variety of healthcare settings. Check out the official Palomar College nursing program. Located inland south of San Bernardino, Riverside Community College is home to one of California's distinguished nursing programs. Offering a number of RN tracks and bridging options, RCC's nursing graduates go on to successful jobs in the field. Get all the program details by visiting the Riverside City College website. Located in Bakersfield, California, California State University Bakersfield is the hub of a comprehensive and rigorous nursing program. With emphasis on critical thinking and empathic care, CSU Bakersfield's BSN and MSN tracks offer excellent professional advancement. Check out the official California State University, Bakersfield nursing program. Whittier’s Rio Hondo College offers a traditional ADN program, as well as an LVN-ADN program. Rio Hondo strives to meet the needs, aspirations, and goals of their nursing students to help them succeed in the field. Get all the program details by visiting the Rio Hondo College website. Located in San Diego, National University's Nursing program is determined to provide for the nation's need for BSN nursing graduates. A nationally accredited facility, NU nursing graduates are a reliable part of the health care team. Check out the official National University nursing program. Nursing students at the Health Services of Los Angeles County leverage the urban environment around the school in order to have first-rate learning and clinical placements. Students graduate with the essential skills and competencies to begin their career. Check out the official Los Angeles County College of Nursing & Allied Health nursing program. San Diego City College's Nursing Education program helps students focus on health advocacy during patient illness and maintenance. Admission to the program is by special application, ensuring that graduates are well prepared for their vocation of choice. Learn more by visiting the San Diego City College nursing website. Set in pristine Weed, California at the northern mountainous end of the state, nursing students in the College of the Siskiyous graduate ready to advocate for evidence-based care for each of their patients, regardless of clinical setting. Check out the official College of the Siskiyous nursing program. Mountainous Glendale, California is home to Glendale Community College and its celebrated RN program. With a number of pathways including RN-BSN tracks, GCC is a strong asset to community medical facilities. Learn more by visiting the Glendale Community College nursing website. The University of San Diego’s Hahn School of Nursing and Health Science offers graduate-level nursing degrees to help nurses expand their education. Their programs emphasize research, theory, and practice, and students are able to specialize in a multitude of areas. Get all the program details by visiting the University of San Diego website. Nursing students at Imperial Valley College are fortunate to receive instruction in their chosen career path from leading-edge nursing educators in a safe and supportive setting. IVC graduates protect and promote patients' health and abilities in the medical setting and beyond. Check out the official Imperial Valley College nursing program. Cupertino's De Anza College offers numerous nursing pathways, just as they have since they opened in 1967. These programs include an associate's degree as well as the LVN transition to RN. De Anza College also offers an Advanced Placement program for Military Health Providers. Get all the program details by visiting the De Anza College website. Long Beach City College is prepared to meet the demand of our aging population, by training nurses who can provide strong medical support in a variety of medical settings. LBCC graduates are highly regarded in the nursing community. Learn more by visiting the Long Beach City College nursing website. 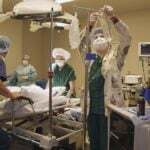 Located in the heart of Silicon Valley, Evergreen Valley College serves students with its 2-year ADN program, as well as an LVN to RN program option. In addition to these, Evergreen Valley College also offers military members and veterans an advanced placement option. Visit the Evergreen Valley College nursing website to learn more. Located in the beautiful and historic mission town of Santa Barbara, Santa Barbara City College's Nursing program is committed to prepare nurses for the changing needs of patients in a variety of healthcare settings. Get all the program details by visiting the Santa Barbara City College website. Cypress College offers Southern California students a multitude of quality nursing programs. Students get to enjoy learning via a high tech human patient simulator in the Clinical Simulation Lab, experiencing real-world scenarios in a simulated environment. Check out the official Cypress College nursing program.